The Thames Path at Molesey. 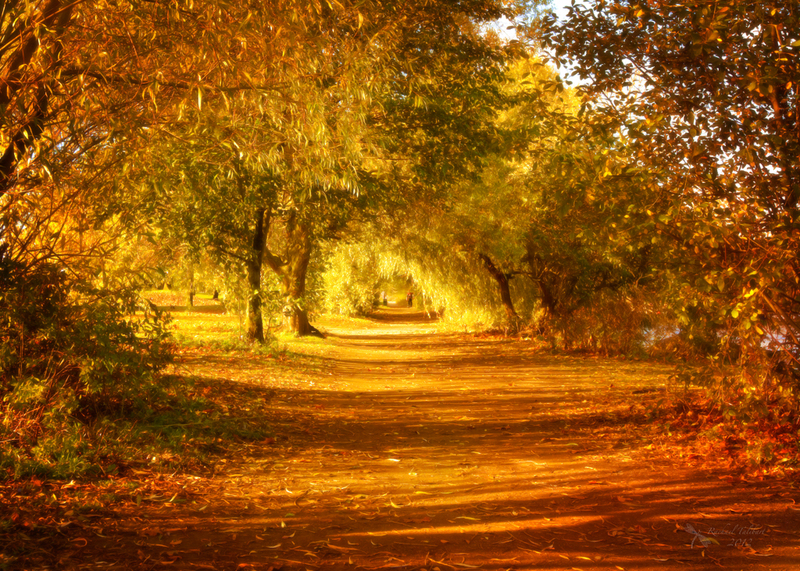 This entry was posted in photography and tagged Autumn, Camus, Molesey, photograph, photography, season, Surrey, Thames, Thames Path by Rachael. Bookmark the permalink. magical is the only word for this Rachael… truly magical and the words lovely..
It’s beautiful, Rachael! Love the warm colors and lighting. Love the way it shines. The quote is perfect. I scrolled down in my WordPress reader – just a bit too far, so that I could see this picture but not who posted it. Even so, I thought to myself that it looks very much like a photo from Rachael. I was right! It’s beautiful.